Tired of being awakened by a noisy ringtone? 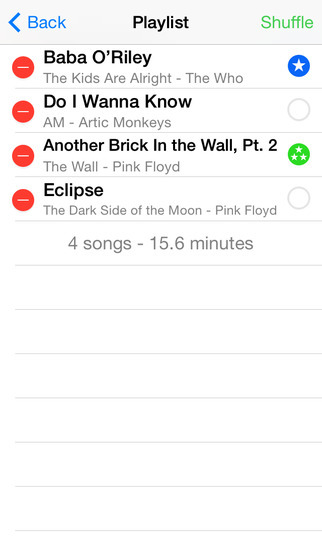 Do you want to wake up with your own music, but not be repetitive? Here comes Awakening, the one and only application that will wake you up differently every morning. All in music. With Awakening, set up multiple musical alarms for every day. 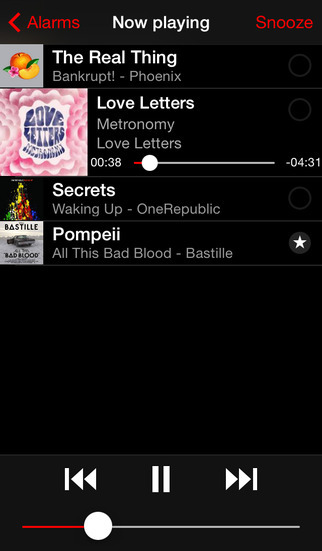 With your favorite music, Awakening automatically creates a playlist to wake you up. And every morning, this list is updated accordingly to your criteria so as to never be repetitive. Awakening also manages all of your alarms in a simple way. Configure alarms for each day and each time you want. By a tap of your finger, create a new one and disable another. Choose whether you want to be waken up smoothly or not. 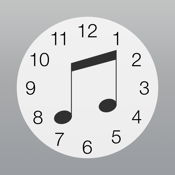 Select the duration of your playlists. And many other things. Of course, Awakening works even if your device is locked, in airplane mode or silent. Get Awakening now, and finally enjoy waking up!